Zoom into pictures of a Patola or a chiffon sari until you can see the threads of the weave. On June 8, an approximately 3,000-year-old world history of fashion emerged when 183 cultural institutions around the globe simultaneously published 30,000 photographs depicting fabrics, their histories and the stories they tell about human civilisation on the Google Arts and Culture platform, as part of the We Wear Culture project. Some of the artefacts displayed are so fragile that they leave the safety of their protective covers only for conservation work at museums. In the instant the photographs went up, it became possible to search for these artefacts across museums and cultural institutes, and to organise them by timeline and colour. Museums understand the significance of clothes as repositories of histories. Massive shows have been organised in recent years, as a hat-tip to the importance of fabrics as a way of stitching together stories of trade, culture, science and globalisation. In 2015, for instance, the Victoria and Albert Museum in London mounted a huge show on the Fabrics of India. Unlike the We Wear Culture project though, one had to travel to the UK to see it. The Google Art Project began in 2011 with the aim of making fine art accessible to internet users around the world. It started with 17 museum partners sharing 1,061 high-resolution images of works by 486 artists. In 2017, the art project has been subsumed under the Google Cultural Institute, which includes sections on cultural heritage, museum views, natural history, history, and now fashion. The Google Cultural Institute is not the only body trying to create such an online repository of knowledge. Museums have been slowly integrating more technology and interactivity into their displays and digitising their collections, since the 1990s. The British Library worked with a technology company in 1997 to develop a tool to scan and upload rare books and manuscripts online. Called Turning the Pages, it made it possible for The British Library in the UK and the Chhatrapati Shivaji Maharaj Vastu Sangrahalaya in Mumbai to digitally unite the sections of the Mewar Ramayana in their respective collections in 2014. However, the Google Cultural Institute is an important cog in this wheel because of its size, reach and the way that it is thinking about technology and culture. Partly because of the way the Google Books project ended (mired in copyright litigation, the project was finally shelved in 2011 after digitising some 25 million books) and partly because Google Arts and Culture’s programme managers acknowledge that they are not experts in culture but at technology, the curation of the We Wear Culture projects was left up to partner institutions, which also reserved the right to take down their material at any time. That means that though Google Arts and Culture came up with the broad theme of clothes as culture, it was up to the partner institutions to interpret it in their own way – pick the artefacts they wanted to showcase and tell the stories they wanted. Most partners even photographed their own exhibits. What Google provided was a format for organising the content and technical support as per the museum’s requirements. Rein said the technical requirements of cultural partners varied. Some wanted to digitise their collection so they could become visible and searchable online, others were interested in making collections accessible on mobile phones and tablets. In some cases, GAC also sent their own photographers when partners asked. Some 700 photographs in the first phase of We Wear Culture (it is an ongoing project) were shot on the Google Art Camera that uses a robotic system to click hundreds of high-resolution closeups and then stitches them to together to make gigapixel photos. “For this project, we helped Dr Bhau Daji Lad Mumbai City Museum and Border&Fall digitise in ultra-high resolution some of their textile collections,” said Rein. 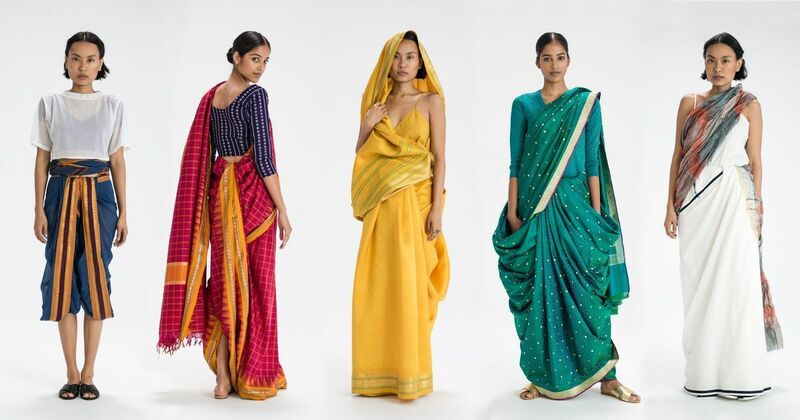 The result – viewers can zoom into pictures of a Patola sari in the BDL collection and a chiffon sari in the Border & Fall show till they actually see the threads of the weave. According to Dr Sengupta of the Indian Museum, it is the job of museums and cultural institutions to unpack an object and tell the stories it contains. In a phone interview, he gave the example of a shard of pottery from the Indus Valley Civilisation as a keeper of stories about contemporary agriculture, food security, and human settlement. The stories woven into the 22 virtual shows put up by the 10 Indian institutions, run the gamut from the production of Himalayan indigo to men’s fashion in Hyderabad from the 16th to the 20th century. There are also stories about saris, from the Bengali Baluchari to Paithanis from Maharashtra and Eri silk in Assam. Each show has a cohesive narrative running through it. For instance, CSMVS’ Humsafar – The Companion show looks at the significance of clothing in life events from birth to death. 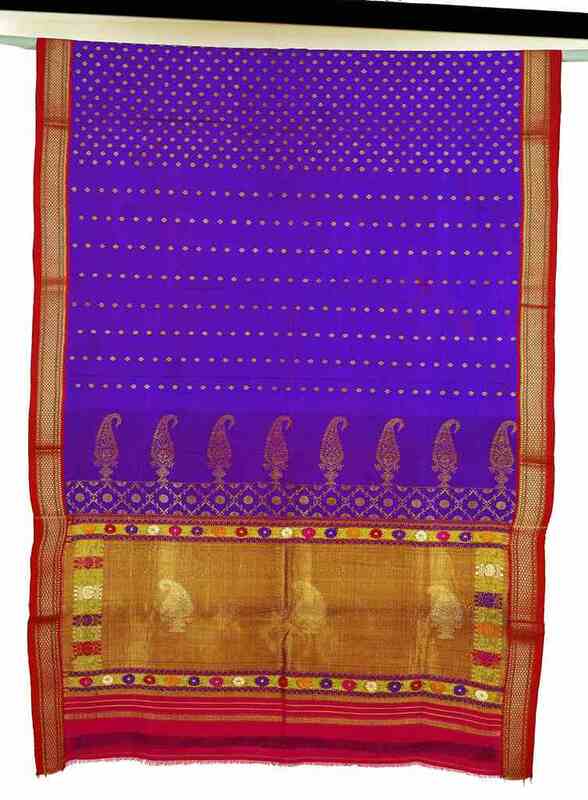 Paithani Sari. Photo courtesy: Courtesy Chhatrapati Shivaji Maharaj Vastu Sangrahalaya. 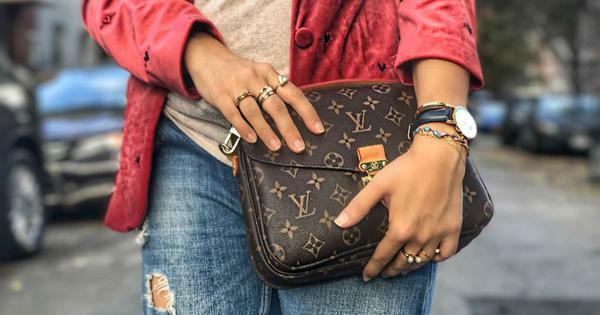 Rein hopes that through these virtual shows and the content that GCA is creating with partners like YouTube star Ingrid Nilsen (who takes short excursions into the history of fashionable items including ripped jeans), We Wear Culture will become a medium for many such discoveries around fashion and its cross-cultural influences.